The Medical Team Supervisor: The President’s Health Status is Stable! 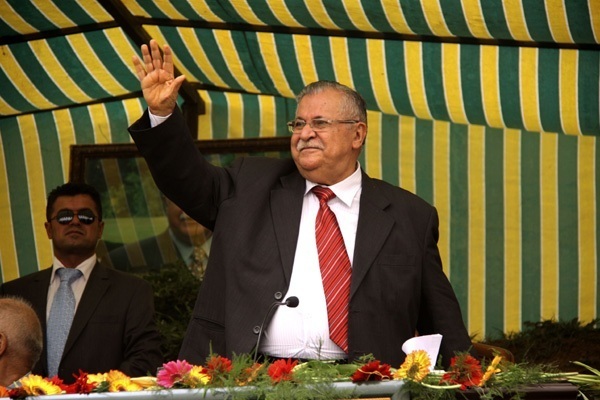 Group held medical supervisor of the health of His Excellency President Jalal Talabani, this evening, Tuesday, 18/12/2012, held a press conference in which he referred to the health status of the President of the Republic. At the beginning of the press conference spoke Naseer al-Ani President of the Presidium of the Republic for the health status of the President of the Republic, saying: We emphasize that the health of His Excellency President Jalal Talabani isstable, has faced Excellency health crisis, on Monday evening, the obligatory introduction to City Hospital Medicine in Baghdad, He is now in good health, thanking all the doctors who helped supervise the health of His Excellency the President of the Republic. Then, speaking senior agent of the Ministry of Health in the federal government, saying: In fact, I have encountered President Talabani health crisis was admitted immediately to the hospital, and immediately we have set up a medical team from all specialties, and conducted all the necessary tests to His Excellency the President, has shown that the health status Emergency Excellency caused by hardening of the arteries and that the tests showed that normal body functions, stressing that the health status of President Talabani stable, adding that a medical team from Britain would arrive in Iraq tomorrow to oversee the health of His Excellency the President of the Republic. He also spoke a doctors members of the medical team, saying: We have received last night His Excellency President Jalal Talabani after suffering an emergency health and we have set up a specialized medical team to oversee the health of His Excellency, and we had him all the necessary tests, and the results of tests reassuring, stressing that the health of His Excellency President of the Republic Jalal Talabani stable. For his part, the doctor of the medical team that the health of His Excellency the President of the Republic is stable and there is a cadre of competent medical oversees the health of His Excellency, and we are waiting for better improve his health in the coming hours. This entry was posted in Direct Source, HOT TOPICS, NEWS, Talabani and tagged Baghdad, Crisis, death, health, Iraq, Jalal Talabani, Medicine, rumor, Stroke by MrIQD.com. Bookmark the permalink.